One of my earliest memories is of my mom reading to me from Little House in the Big Woods. If I close my eyes, I can still see the Garth Williams artwork that was on the page when I told Mom to hurry up and turn the page. “I’m not done reading it yet,” she told me. “But I am,” I said. I was four years old, and I realized two things that day: that I knew how to read, and that I wanted to be a writer. Just like Laura Ingalls Wilder. I got my first typewriter not long after that. It was a toy, but it worked like a real typewriter. It was made out of hard blue plastic and it came with its own sturdy carrying case. I took it with me everywhere I went, and I pounded out stories and poems that probably gave any readers a severe case of bleeding eyeballs. By third grade, I had worn it out, but that was okay because I learned about quotation marks and discovered that my little typewriter didn’t have a key for those. I figured out how to type two apostrophes together to make my own, and I expanded my vocabulary as other keys began to wear out. I learned to find words that didn’t include the letters “g” and “r” but finally had to admit defeat when I lost the letter “e”. It took less than a year to blow out the next toy typewriter. Aunt Marian referred to my method of typing as “Hunt and Peck”, but Mom said I was using “The Bible Method”, otherwise known as the“Seek-and-ye-shall-find” method. Am I the only one who sees the Star Wars influence here? 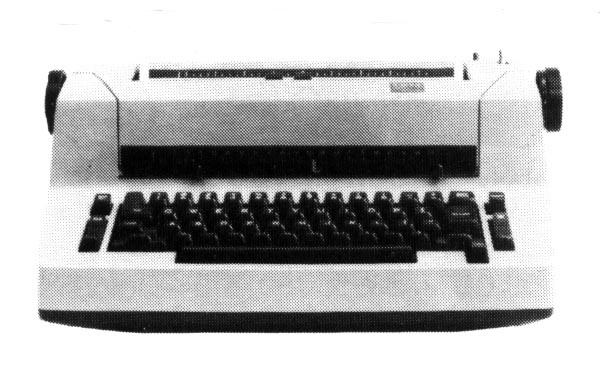 By the time I went away to college, my “toy” had been upgraded to an IBM Selectric. That thing must have weighed fifty pounds, and it came with a corrector cartridge that was supposed to simplify the process of using Liquid Paper or White-Out. I had taken an actual typing class by then with the oddest teacher my school ever employed (“My name is Frakes and it rhymes with brakes, and I won’t put the brakes on your typing speed!”). I used that IBM Selectric to get through some pretty tough college classes, and even used it to hammer out my first query letter to Amazing Heroes magazine. I knew that no one ever sells an article on the first try, so I wrote the letter as a practice exercise with no thoughts of actually writing the article. I nearly passed out when I got a letter from editor Kim Thompson a few weeks later calling me a “copacetic young lady” and giving me the go-ahead with a very tight deadline. Oh, the horror that was the 1980’s! 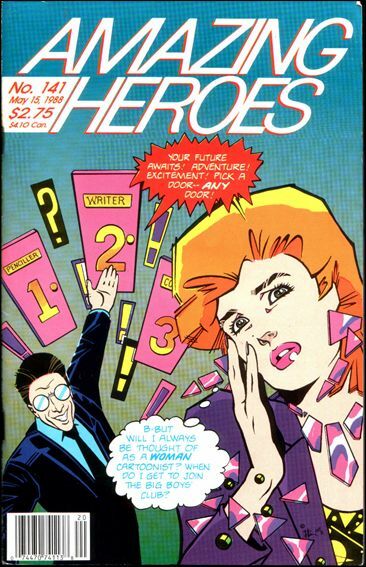 I looked up “copacetic” and gave up eating, drinking or sleeping for a few days as I wrote “The Forgotten Reader” about what it was like to be one of the few female fans of comic books in those days. 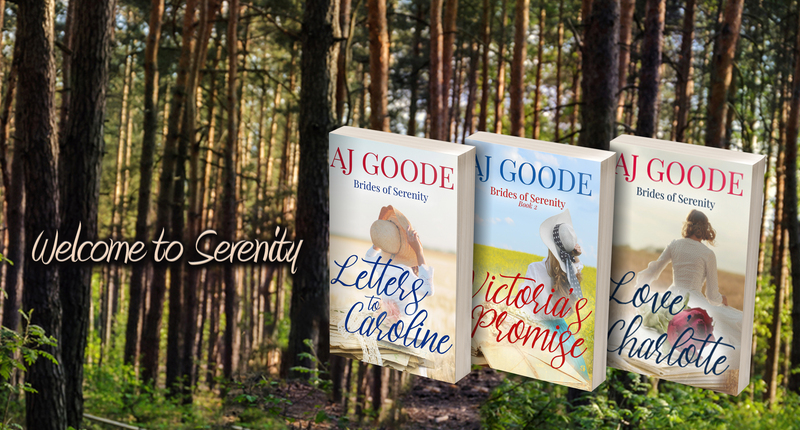 I scrambled for a pen name—for the record, I was writing as “A.J. Lee” before the wrestler by that name was born—and thought my writing career was really taking off when I got my check for $35.20. We’re often mistaken for twins. The magazine ceased publication not long after that. There have been a lot of detours since then. A few articles here and there, some really egregious poetry, and a lot of self-indulgent attempts at “literary” fiction. The Selectric eventually went the way of the two toy typewriters, and I now go back and forth between a tiny Asus Netbook and a “real” computer at a desk with my ergonomic chair to support my neck and shoulders. I have access to things like spell-check and beta-readers and will most likely never again have to breathe the scent of Liquid Paper at two a.m. while chugging cans of tepid Tab and wondering why in the hell I ever wanted to be a writer in the first place. 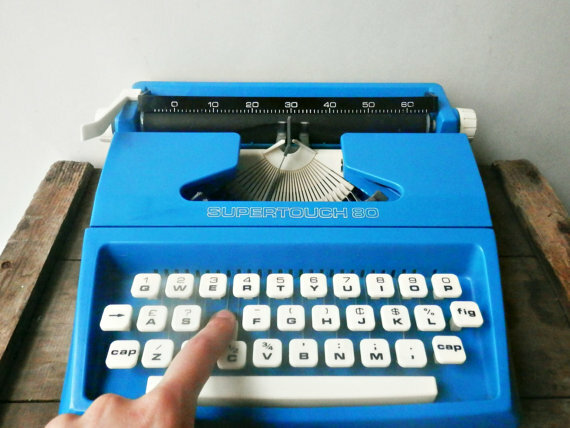 In a way, I’ve come full circle from the days of that poor old blue typewriter. It doesn’t matter if I type on a toy or scribble on the back of an envelope with a two-inch pencil stub with a gnawed-off eraser. I’m a writer. Always have been, always will be. And I owe it all to Laura Ingalls Wilder and a little toy typerwriter. On my way to check it out right now! I read all of those Little House books! Me, too! She’s still one of my favorites. I used to work with a girl who thought Laura was just a TV character. Had no idea she was a real person. Sigh. Thank you! I used notebooks too, but always lost them. I still carry a steno pad in my purse for ideas that hit at random times. I have a special notepad for ideas. But I forget to take it out with me and end up putting notes into my phone.